A cycle tour in Aotearoa meaning “Land of the white cloud” in the language of New Zealand’s indigenous Maori people cannot be compared to any other – as 36-year-old cyclist Cameron Nicholls experienced first-hand during his epic winter adventure. Cameron cycled 2,336km from the tip of the North Island all the way to the most southern point of the South Island in a mere 12 days with the help of his wife Alice who accompanied and supported his journey along the way – an impressive feat! 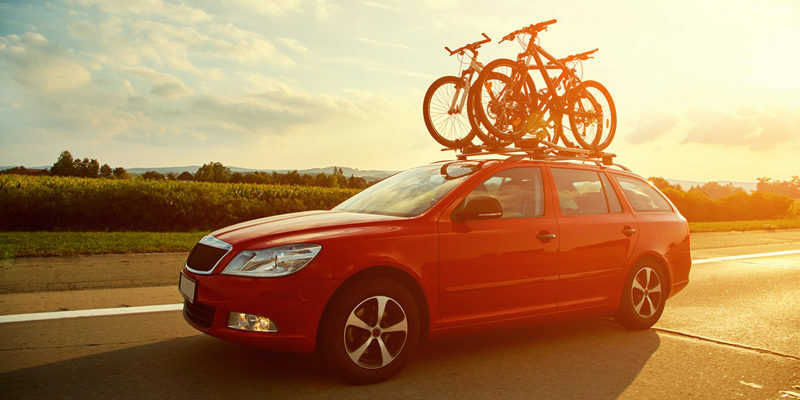 If you’re about to embark on a cycling adventure this summer, choosing the right bike rack for your car can be unnerving and problematic, especially if you’ve never used one before. Maybe you have used one before, but with a bit of wear and tear you’re not entirely convinced by its safety features and believe you deserve an upgrade. We agree. Needless to say, cycle carriers (or bike racks, whichever you prefer to call them) have a lot riding on them – pardon the pun! This is particularly true if you have an expensive, high-end bike, whose price tag never fails to unsettle non-cyclists. Europe has some of the best cycling routes on earth but travelling with your bike on the quest for that perfect road, though certainly appealing, could leave you out of pocket. Cycling enthusiasts are never too far from their bikes at any one time and for many, only cycling in the UK is too restrictive. Whether you’re planning on tackling the Alpine mountains, the sandy tracks of southern Portugal, or following the meandering Danube, you can be sure that Europe’s cycling routes will stagger and astound even the most seasoned cyclist. 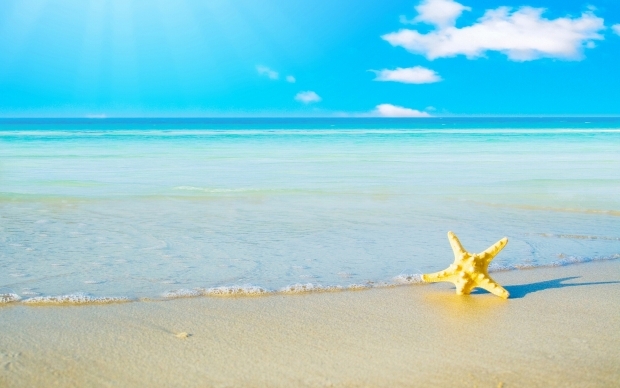 As with all holidays, determining the most cost efficient means of travelling is a time consuming and frustrating task – especially when information is thin on the ground! Sometimes it helps to have a little advice. Maybe you’re gearing up for your first biking expedition? Or maybe you have found the most scenic sights a little further afield from your back garden? Or perhaps you just want to bring the family bikes out of the shed for a test ride with the little ones? Whatever your biking adventure, you’ll need a cycle carrier for your car to haul everything to your destination. So what kind of cycle carrier do I need? Good question, because there are so many different makes of cycle carriers out there to fit thousands of bicycle shapes and vehicles. To ensure you don’t make any on-the-spot decisions, we consulted the leading manufacturer Bosal on what, today, are the best cycle carriers for your next biking holiday. So, yesterday I found myself in the middle of nowhere, down a tiny lane with both mirrors of the Bike Adventures mini-bus buried in the hedgerows. 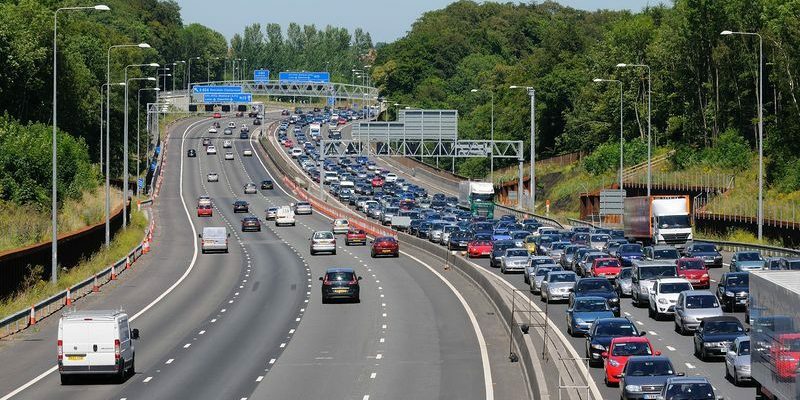 Nothing odd about that, the poor old bus spends much if its life trying to squeeze down such lanes, except it was within 3 miles of the M25!! New for 2016 is our Circumnavigation of London which tracks the dreaded M25 but might as well be in another galaxy. The ‘Green Belt’ becomes a tangible thing as we follow idyllic country lanes though picture-postcard villages around England’s Home Counties. Yesterday I completed the 2nd half of the reccie, starting in Woking and working my way through Surrey and Kent before taking the little-known Tilbury pedestrian ferry across the Thames and into Essex. It really is quite astonishing that the route encircles a population of more than 10,000,000 people because all I saw was trees! The trip runs over the first weekend in July and is proving popular so if you would like to join us get in touch soon! By the end of a Bike Adventures’ season we tour leaders are usually pretty frazzled. Running trips is mostly tremendous fun, but still hard work and some of us are on the road for as many as 100 days in a season. A bit of winter R&R is just what the doctor ordered but it doesn’t usually take too many weeks at home before the legs start to get twitchy again. Early in the New year we all start to bid for the trips we would like to run and as the orders come in a clear picture of each leader’s timetable starts to emerge. By March everyone knows what they will be doing and a state of excited anticipation sets in. Our 2016 season was ‘launched’ with a leader get-together at global headquarters (aka Dom’s house) in early April, an excuse for plenty of drinking, a nice long ride and the exchange of war stories. Now the trips start rolling out and my fist kicks off tomorrow (Camino). The van is clean, serviced and loaded with bikes, spares, tools etc and I am raring to go. To call it ‘summer’ is stretching things a bit but for me the dark days of winter are over! If you awoke from a 50 year coma there would be quite a few surprises. Many things have changed almost beyond recognition but I’m pretty sure that you would have no trouble recognising a bike! Almost every aspect of the bike has improved beyond measure but the basics remain the same and there really haven’t been any ‘game changer’ technology developments. Except, that is, for the lights. As a boy my bike’s lights weighed about the same as the bike itself, and cast a beam so feeble that it barely reached to front wheel . Furthermore, the batteries cost a fortune, lasted about 5 minutes and if you forgot to remove them from the lamp unit they would leak within minutes, ruining the lamp. The invention of the LED light has completely transformed nocturnal cycling and, depending on your needs, you can now buy something for a few pounds that will run for hundreds of hours and let you be seen, or a monster packing many thousands of lumens and costing about the same as a cheap bike. These very high intensity lights have brought their own problems with cyclists using lights designed for off-road riding and ‘blinding’ oncoming motorists. Whenever I pass a bike shop I always pop in to see if there are any new and exciting gadgets and on my recent trip to Australia I found a new lighting innovation that I have never seen before – a bicycle brake light! 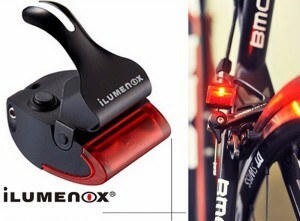 This fantastic little gizmo clips onto the rear brake cable and casts a bright red light whenever it is operated. If you have ever cycled into the back of a rider because you hadn’t realised they were slowing down you will immediately see the benefit! The best country in the world in which to cycle is France. End of debate. Having just returned from the final reccie for our latest French route (Perpignan to Nice) I am more convinced of this fact than ever. A ride along the entire French Mediterranean coast sounds as though it has the potential for busy roads and endless resort conurbations but au contraire (I think I may have turned a little bit French!). This 400 mile journey offers a huge variety of scenery: classic twisting coastal riding, causeways between lagoons full of flamingos, wild Camargue ponies and an occasional glamorous town. Yes there are some busier stretches but most are mitigated by cycle paths (including superb paths that carry one through the major cities of Toulon, Cannes and Nice). For a grand finale (oops – a bit more French), and just a few miles from the finish, we cycle through Monaco – something for which the term ‘cool’ was probably invented. Of course, the thing about cycling in France isn’t just the cycling. Lazy coffees in roadside cafes, excellent meals in intimate family-run restaurants and the automatic warm welcome that is bestowed on anyone turning up in Lycra all contribute to the ambiance (damn – I’ve got to get back to speaking English) that makes France so special. Even at this late hour there is time to join the trip, which starts on Saturday April 9th. The bicycle is an astonishingly reliable bit of kit; I ride up to 10,000 miles each year and seldom experience anything worse than a puncture. Furthermore, when something does go wrong, it is almost always fixable at the roadside provided you carry a small but well chosen set of bits and bobs.